Ridley Scott’s American Gangster finds its strength in Denzel Washington’s and Russell Crowe’s strong performances as well as its focus on the socioeconomic struggles and the character development of its two protagonists. 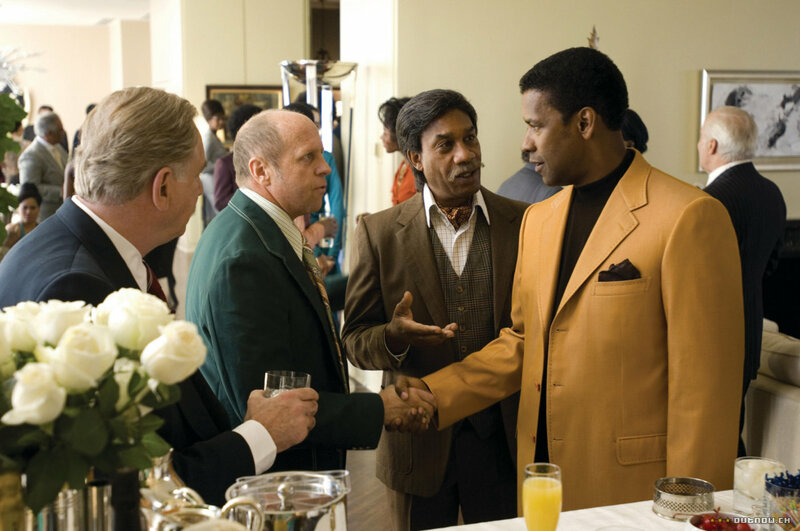 Before its release, American Gangster was expected to become a future candidate for Academy Awards due to its star prowess and seemingly promising performances. Despite the overstatement, American Gangster still turned out to be a successful and received nominations and accolades, including two Academy Award nominations (Best Art Direction and Best Supporting Actress) and a SAG award for Best Supporting Actress for Ruby Dee. During the year of its release, American Gangster competed with other critically acclaimed crime dramas and/or powerfully acted films (also coincidentally neo-Western treatments) such as There Will Be Blood, No Country for Old Men, Gone Baby Gone, The Assassination of Jesse James, Michael Clayton and Eastern Promises. However, somewhere between its veridical source material and its crime drama aspirations, American Gangster seems to lose its opportunity for originality by seeping to intertextual nods, “shoot-em-up” sequences and crime genre tropes. Not to mention that some viewers attracted to American Gangster as a biographical picture, were discouraged by historical inaccuracy to the real life events. Altogether, the lack of innovation to the genre and the lack of verisimilitude to be considered a proper biography hold back American Gangster to become memorable despite being a well crafted and powerfully acted film. There are films whose political discourse attracts a level of controversy that negatively affect its performance and growth. Such is the case with Spielberg’s Munich, whose social commentary of Palestine and Israel after the Munich Massacre at 1972, brought polarized reviews from critics, and more importantly, controversy and backlash from Israel. This must have led to limited theatrical releases both domestically and internationally, resulting in one Spielberg’s lowest grossing films ($130 millions). Munich does not focus mainly on offering facts, historical authenticity or artistic pursuits such as character development or aesthetics, but providing an exploration and a dialogue about the human elements caught between the sociopolitical conflicts. Munich proposes a complicated discourse that might prove problematic for audiences seeking either a traditional thriller or the typical Spielbergian mainstream movie. Nonetheless, Munich was highly praised as a film landing five Academy Award nominations, including Best Picture, as well as listed in several “best of the year” lists by critics and film websites. Ultimately, Spielberg successfully calibrates the technical aspects in Munich to great effect, manipulating the thriller genre features to depict the emotional pressures wrought by social conflict and ideologies. Sam Mendes’ follow-up to the Academy Award winner American Beauty (1999), Road to Perdition was not met with the same universal acclaim as its predecessor, nor did it collect half its earnings in the box office (Road to Perdition: $180 millions; American Beauty: $356 millions). 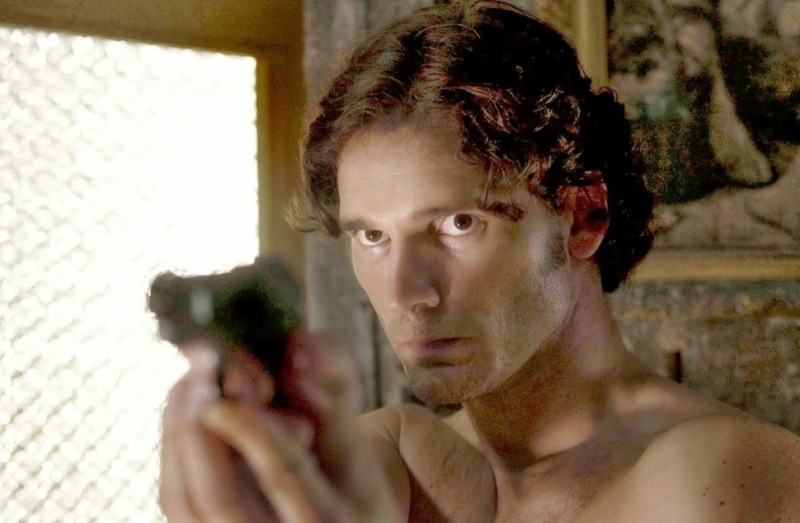 Perhaps Mendes’ crime drama was eclipsed by DreamWorks Pictures’ distribution strategy. For American Beauty, DreamWorks launched a lavish campaign to fuel the film’s chances of becoming an Academy Award success, whereas in Road to Perdition’s release year, the production company focused their attention on Spielberg’s Minority Report and Catch Me if You Can, also starring Tom Hanks. These distribution factors lessened Road to Perdition’s impression during its release, and might have led to its decline to obscurity. In terms of the film’s artistry, although some critics expressed disapproval of the script’s level of depth, Mendes’ and the late Conrad Hall’s cinematography is not only resonant with themes of father-son legacy and the consequences of violence, but also succeed in telling both a poetic and melancholic story through sheer visuals. 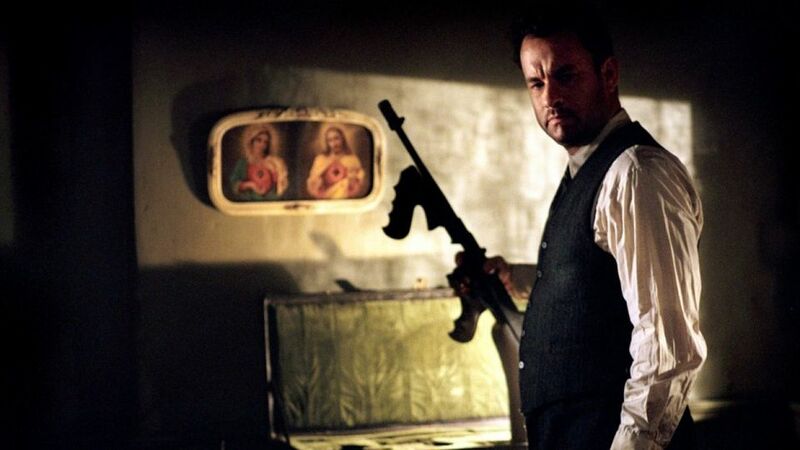 Despite being often overlooked, Sam Mendes’ Road to Perdition should be remembered for its ambition to catch on to its aspirations, genre masterpieces by Sergio Leone and Akira Kurosawa, which to a large extent accomplishes, through a commitment to imagery and visual lyricism that is reminiscent of Pure Cinema. Michael Mann’s Collateral stands among the best American neo-noir films of the 2000s. Collateral is known for the use of high-speed digital video format that comprised most of the film, in order to depict the night as a three dimensional landscape. This discussion is not much invested on why is Collateral forgettable, but rather why it should be more relevant today given its contribution to the film industry’s digital era. Although there were previous films that shot on digital (Vinterberg’s The Celebration; Lee’s Bamboozled; Mann’s Ali), Collateral was the first film that sought aesthetic possibilities only available in digital, such as the format’s capacity to capture images in ambient and low lighting. 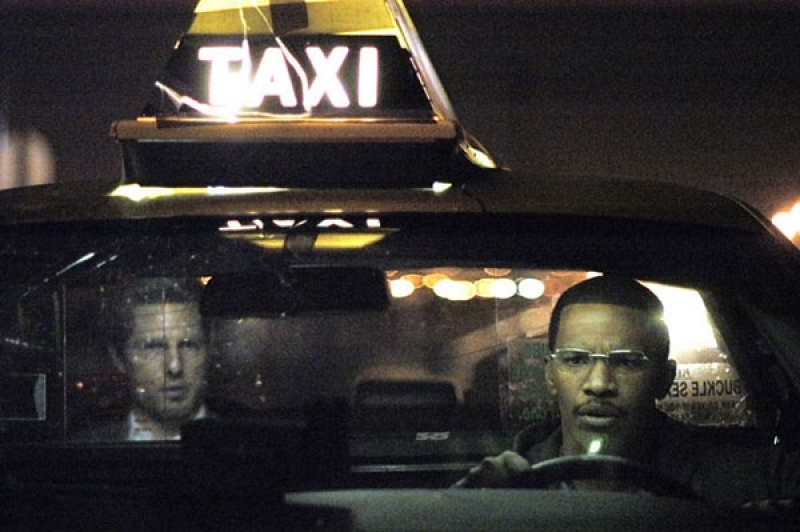 The inside of the taxicab, the Los Angeles skyline, the ominous atmosphere and the amalgamation of the city’s neon lights, are the particularities overflowing through Collateral’s vibrant nightlife would not have been able to captured the same way had Collateral been shot on film using lighting setups. Besides being a successfully accomplished neo-noir action thriller, Collateral helped set the stage for digital to become a platform for the industry’s artistic growth. Academy Award winner of five awards including Best Picture, Best Director, and Best Actor as well as a consistent entry in 2011’s Top Ten lists. There is plenty to admire in the merit badge sash Michel Hazanavicius’ black-and-white silent romantic drama wears, but very little to assess about its relevance to contemporary culture. Set in the 1920s, The Artist is based on Hollywood’s transition from silent films to the “talkies.” Hazanavicius is successful in resurrecting the glamour, charm and particularities that are memorable of the era. However, the underlying cynicism and resistance to sound film and the technology that has remained in cinema for most of his history lessens possibilities to engage contemporary audiences without falling into the pits of nostalgia. Despite offering a brilliantly crafted story, good performances, and at the time, an innovative visual rendition of the 1920s scene – black-and-white, the mimetic performances and vibrant music – The Artist’s aesthetics fail to elevate the film beyond nostalgia and the revitalization of its source material. Accolades aside, perhaps someday The Artist will be rediscovered and be praised for what it is: a period piece as well as faithful revival of Hollywood’s silent era.